There are many ways we share our treasure. As part of a faith community, we share our financial resources by giving planned, regular, and proportional contributions to the Sunday Offering. 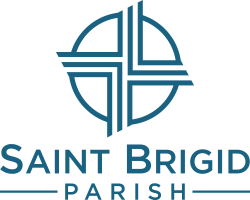 This fund sustains our parish’s operating expenses and helps us carry out our mission to encounter, love and serve Jesus, one another, and the world. The preferred way to give is through e-Giving. Scheduling your gift—whether it be weekly, bi-monthly, monthly, quarterly, or annually—helps us budget for our ministries and helps you keep on track with your intentional giving whether you are home or traveling. Credit card points are a handy bonus too! You may also contribute by placing your Sunday Offering in envelopes in the offering baskets at Mass or by submitting them to the parish office. In addition to the Sunday Offering, we are called to contribute to the local Church through our diocese’s Annual Catholic Appeal which serves so many in San Diego and Imperial Counties. Giving beyond our local community can include special collections throughout the year and giving to organizations such as Catholic Relief Services. In addition to credit card and check donations, gifting stocks, legacy gifts through estate planning, and bequests are wonderful ways to be financially prudent, save on taxes, and help serve the mission of Jesus. Want to give online? Click on the Give button to login, track your giving, and print your records any time you'd like. Contact Debbie for more information.